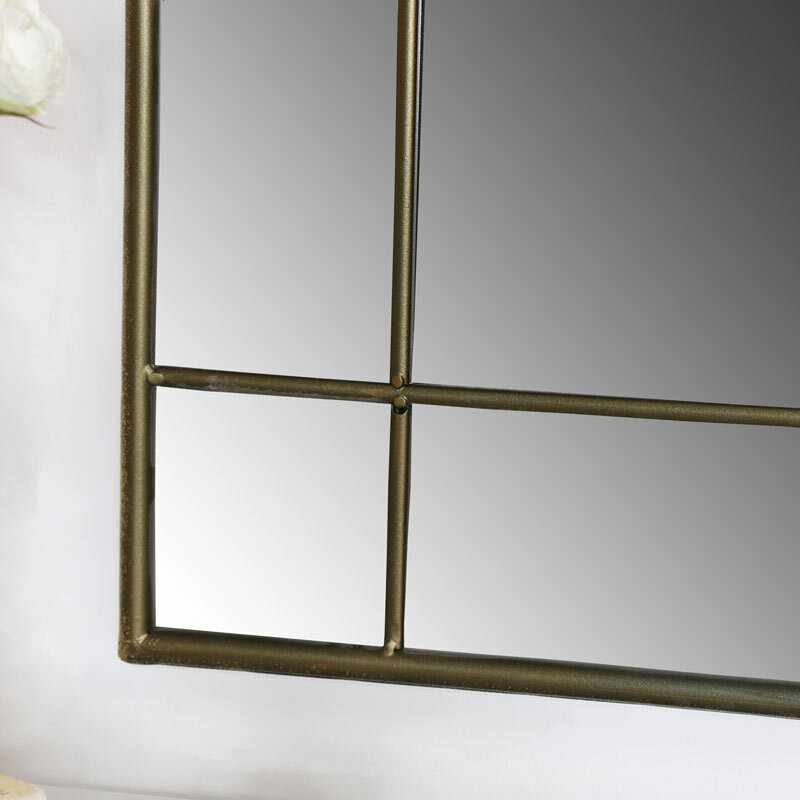 Large arched grey metal window style wall mirror in charming, rustic finish. Offering a bold statement displayed in the living room or hallway. Perfect for modern and traditional interiors with hints of the industrial style. Featuring grey metal framework with panelled effect. A tunning look for any home decor. 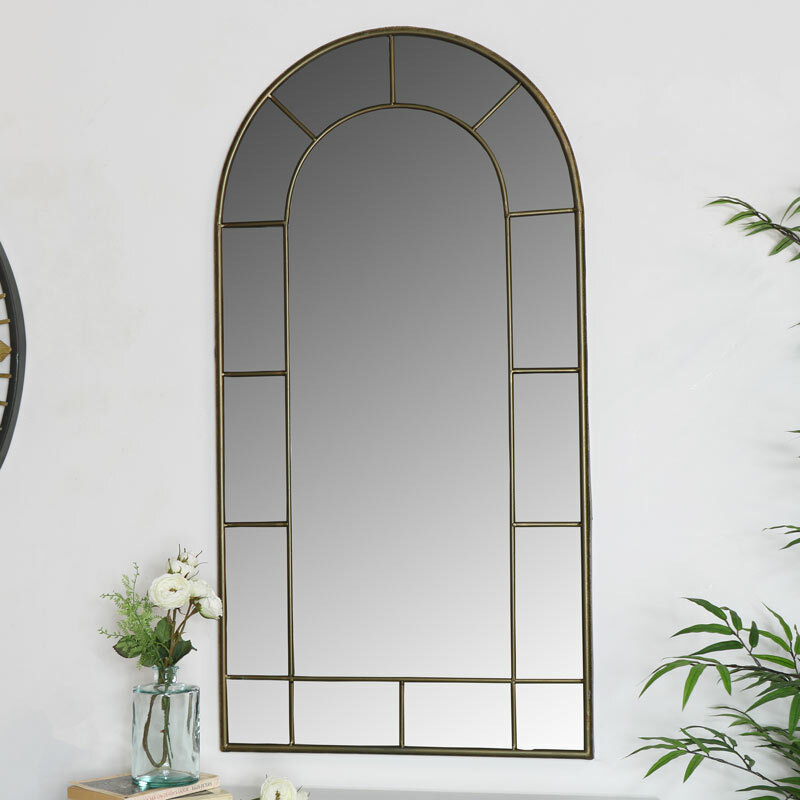 With a wide choice of arched and window style wall mirrors to choose from, you can pick the one that suits your interior. Can be displayed wall mounted or leaning for a more dramatic effect. Constructed with a metal frame in a distressed, rustic grey appearance to give an aged look. 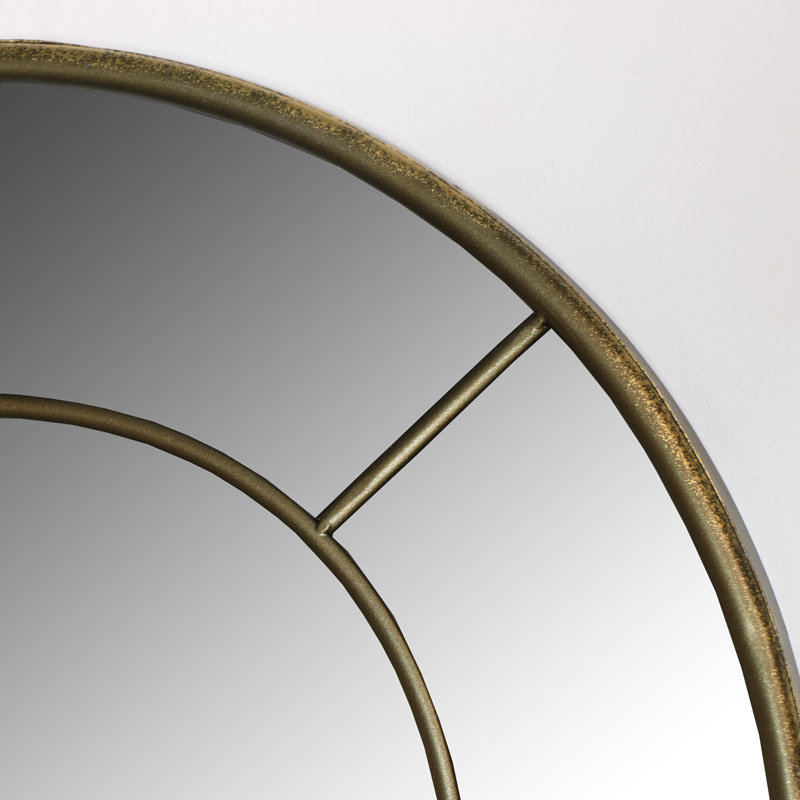 This mirror is easily wall mounted with 2 eyelet hooks on the back, weighs 9.5kg. Please note if displayed outdoors will weather over time.